Mitotic figures are abundant and readily noticeable in this malignant GIST. 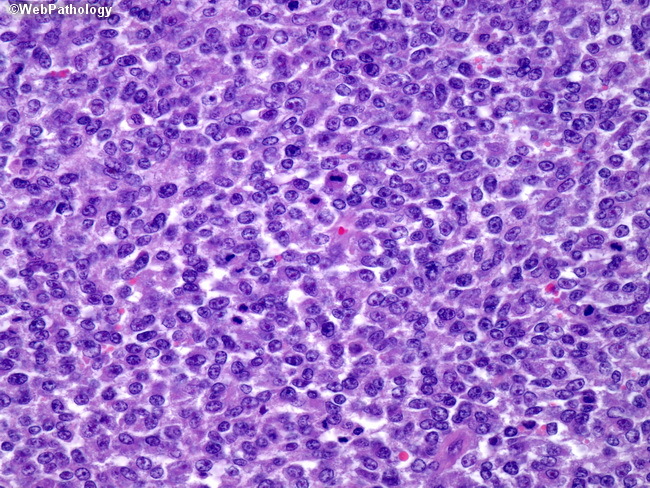 Additionally, the tumor is extremely hypercellular, with pleomorphic epithelioid cells overlapping one another. This tumor appears nearly undifferentiated, and numerous malignant entities, such as sarcoma, melanoma, and lymphoma should be given consideration.